- The radio receives VHF and medium wave. - Connections for iPod® or MP3 player, respectively. 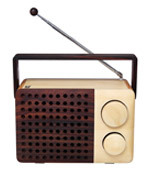 Recommended care for the radio: rubbing in a drop of pine or teak oil on its surface every once in a while. 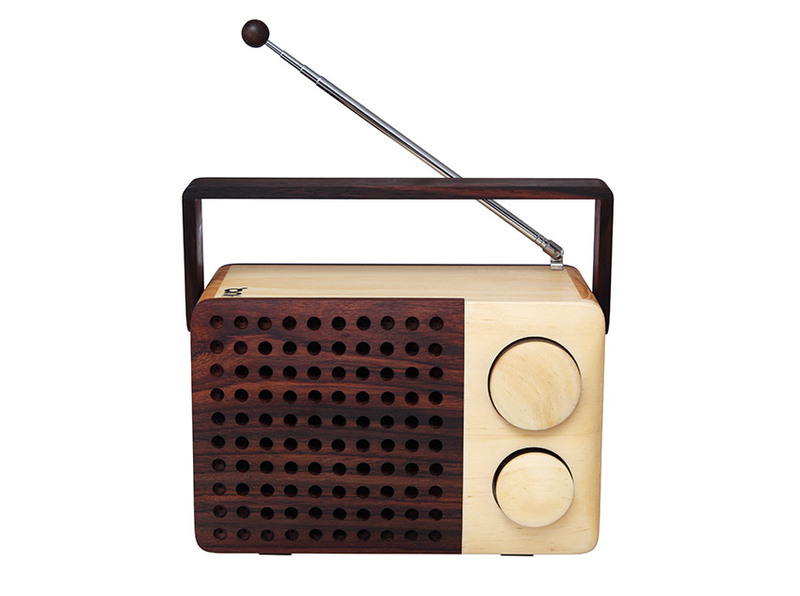 The MAGNO radio is manufactured entirely by hand in the workshop of the designer. Marginal deviations are therefore possible. Works with two AA batteries (not provided). It is possible to connect a power supply unit (not included due to different socket systems in the EU). 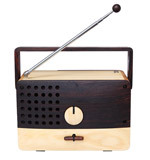 For your information: In the moment we have no wooden radios in stock. Nevertheless there are some resellers that still have some radios in stock. Just send us a quick note in order to inform you where you might find a radio. 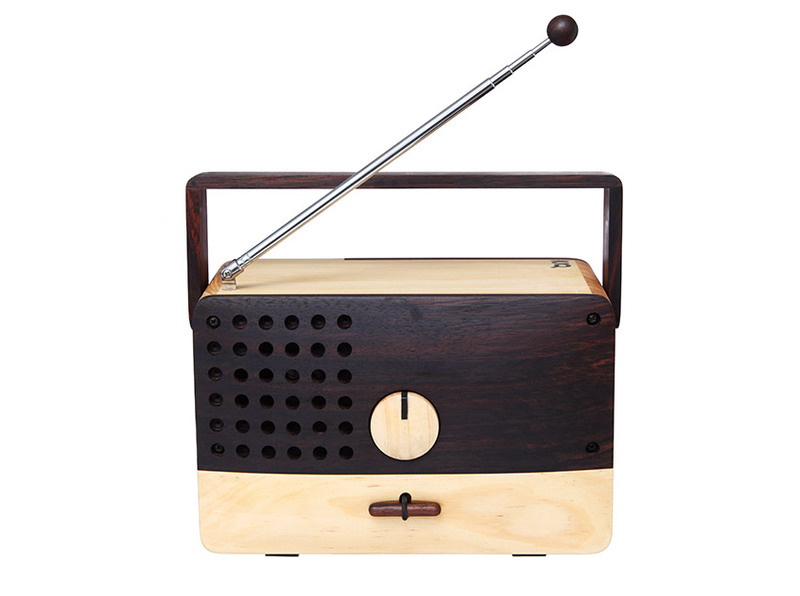 If you should search for other radio models by Singgih Kartono (wooden radio CUBE) please don't hesitate to contact us as well as we might can assist you to find your prefered radio.